Fiber (technically a carbohydrate), fat, and protein-which also make nuts a complete “meal.” Each type of nut contains these constituents in different quantities. Fiber, while considered a non-nutrient is still classified as a carbohydrate. It’s important to digestion because it expands in your digestive tract and contributes to making you feel fuller, longer. Food empties from your stomach slower, helping to keep you satisfied for hours. Very simply, fiber can be either soluble or insoluble which means your body can slowly break it down (soluble) or, it doesn’t break it down at all (insoluble) but helps to add bulk which pushes food through your system, keeping your colon healthy and keeping you, regular. This goes for the fiber component in nut butters too. How are nut butters different from nuts? They’re really not different, they’re just ground up. 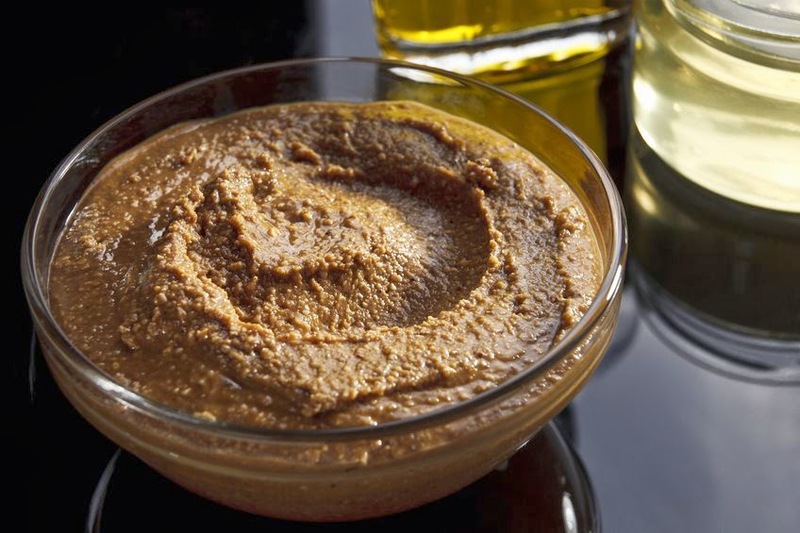 Nuts/nut butters contain healthy fats which are also satiating. What kind of fat? All three types of fat – saturated, monounsaturated and polyunsaturated fat but thankfully, no trans-fats. Most nuts contain some of all three. The type of fat in nuts varies from one type to another so if you want variety in your diet (and you do), switch them up. Almonds, cashews, hazelnuts, macadamias, pecans and pistachios are higher in monounsaturated fats for example, while Brazil nuts, pine nuts and walnuts have more polyunsaturated fats. Walnuts are one of the few plant sources of Omega-3 fatty acids (as are flax seeds.) You may remember that fish oil is also an Omega-3 fat but, fish oil is derived from an animal source and contains DHA and EPA fats vs plant sources like those found in walnuts which contain Alpha Linolenic Acid (ALA.) Walnuts have the greatest amount of ALA but pecans, hazelnuts and macadamias have some too. So if you don’t eat seafood (and I know lots of people who don’t), this should be of particular interest. The same holds true for vegetarians. While nut butters were once just the domain of peanut butter (which isn’t really a nut-it’s a legume or, bean), they have been “upgraded” and can be found in almost every variety: cashew butter, almond butter, hazelnut butter, macadamia nut butter and spread on everything from fruit, to bread, to crackers. Since they’re filling, they’re typically eaten in small amounts. which can make them harder to indulge in without feeling crummy afterward. While considered more of a fat with fiber food, nuts also contain, relatively speaking, a decent amount of protein-making them a complete food, especially as snacks. Nut butters have been growing in popularity. Companies like Betty Lou’s have been in business making their nut butter balls for over 30 years. You may not have noticed heir fabulous, non-trans fat, non-GMO containing nut butter balls but they’ve been at the check-out counter in your local mini-marts for years. Their individually wrapped balls appeal to every diet type and preference. Gluten free, dairy free, soy free, corn free, low fat, glucose control; you name it, Betty Lou’s has a nut ball to satisfy it. Justin’s Nut Butters are a gourmet treat for your sliced apples. With choices like Maple Almond Butter, Chocolate Hazelnut Butter, Classic Almond Butter, Honey/Vanilla/Chocolate Almond Butter, they pair up classic tastes with this line of nut butters. They also make dark and milk chocolate peanut butter cups. While not exactly low-sugar, they can be perfect for the long rides or competitions where you’ll need a little sugar to power you through that ride or race. NuttZo might be the healthiest and most unique nut butter out there. The NuttZo Brand has 3 different organic flavors in crunchy style or smooth and with or without dark chocolate. All their nut butters are made with seven different nuts and seeds (organic peanuts, organic cashews, organic almonds, organic flax seeds, organic brazil nuts, organic hazelnuts, organic sunflower seeds, and sea salt.) They are 100 percent organic with no added sugar or oils. That makes them worth trying right there. If you’re looking for something fun and with a mission in mind, Yumbutters aim to nourish the world-one nut butter packet at a time. These are the artisans of the nut butter world. They make their butters in small batches (mostly peanut butter and almond), without salt, and packaged in a take-anywhere pouch, perfect for that ride/run that has you on the road for long periods of time. They add super foods like chia seeds (for their omega fats, proteins, and antioxidants), goji (for it’s essential amino acids, and over 20 vitamins and minerals), and hemp seeds (for its ideal ratio of omega 3 to 6 fatty acids.) With choices like Asian Jazz Spicy Peanut Butter, Cranberry and Coconutty Peanut Butter, and Dark Chocolate D’lishe, How could you go wrong? If you’re looking for something healthy, environmentally conscious, and D’lishe, Yumbutters are the perfect fit. Long rides and runs require more slow-burning carbs for sustained energy-Yumbutter packets are a great choice. To avoid damaging the fat in your DIY nuts (oxidized fats are pro-inflammatory), slow roast them before you grind them: Soak the almonds in salted water for 4-12 hours during which time they will swell up considerably (the soaking step also makes them more easily digested.) Spread them out in a single layer on a baking sheet and put them in the oven (or barbecue) set on very low heat (200-250°). Roast them for 2+ hours or until they are crunchy, stirring occasionally. Store the roasted nuts in an airtight container. Anyway you spread it nut butters are a good way to get your healthy fats and provide your body with sustained energy during endurance type actiivites.